Like to know more about Pemmican Beef Jerky or Pemmican Rewards? You’ll find answers to the most common questions below. If you have a specific question, click here to contact us. WHAT IF MY LOCAL STORE DOESN’T CARRY PEMMICAN? 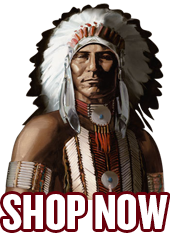 If your favorite store doesn’t have Pemmican – just ask them to get it for you! WHERE DOES PEMMICAN BEEF JERKY COME FROM? Pemmican is made exclusively from all natural, grass-fed beef. We control our product from pasture to package. No third parties. No cutting corners. It’s all part of our dedication to maintaining the industry’s highest standards for product integrity. HAVE A SPECIFIC COMMENT OR QUESTION? Feel free to contact us with any comments or questions you may have. Just click on Contact Us and let us know.